At the age of 10, I emigrated to Canada from my home in Gujarat, India. I was fortunate enough to have been brought up with the notion that I could achieve whatever I wanted, allowing me to pursue a degree in electrical engineering, among other accomplishments. However, my eyes were always open to the fact that others have not had such a fortunate upbringing. People from across the world are limited in their ability because they lack essentials such as clean drinking water, which I believe is a human right. According to the World Health Organization, one billion people globally do not have access to safe drinking water. I saw this inequality in my home state of Gujarat, where 1 in 3 people do not have this basic necessity. Seeing such a global problem within my backyard, I became passionate about finding a solution. Through the support of faculty and fellow students at Ryerson, I founded Pura. Pura - an all-encompassing environmental solution to contaminated water where local potters upscale their businesses while preserving their inherent culture. The pottery industry in Gujarat was once considered to be a thriving, traditional craft passed down through generations, but has since drastically declined. Now, potters struggle to generate an income required to sustain a family. Ergo, we first partner with local potters in target communities, where passionate potters demonstrating expertise and financial need are selected as ‘waterpreneurs’. Next, they are taught how to manufacture low tech ceramic filtration units that mirror clay pots used for storage of drinking water, in order to ensure cultural acceptance. They cost $2 to manufacture, using materials local to our target communities. Finally, ‘waterpreneurs’ receive entrepreneurial education coupled with a micro-loan to jump-start their water sanitation businesses. This addresses three problems in the identified areas: lack of economic opportunity for artisans, endangerment of traditional culture, and lack of access to clean drinking water. The low cost and simple design makes Pura flexible and adaptable to any community with a clean drinking water issue and presence of poverty stricken potters. The first set of target communities identified were rural villages in Gujarat. We conducted a thorough needs assessment in those areas and identified three particular villages for implementation: Dabka, Darapura, and Vadu. After carrying out the first iteration of our model in these communities, we helped create the first 3 ‘waterpreneurs’. One of which was Vijay, an expert potter who sold hand-crafted pots used to store and cool water in Vadu. Despite being an expert, he struggled to generate the income needed to sustain his family of six. After becoming a ‘waterpreneur’, he sold 8 filters in the first month, which more than doubled his income allowing him to send his youngest child to school. Building on the early momentum, we recruited a multifaceted team to keep up with the growth. 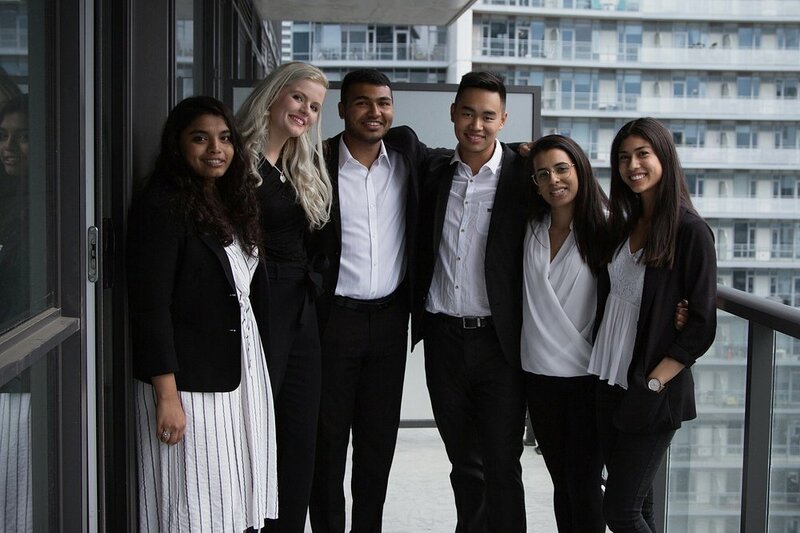 The Pura team now consists of 6 Ryerson students from the faculties of Engineering, Business, Communications and Science, whose diverse skill sets are crucial to our success. Following our success in rural India, we scaled to Asyut, Egypt which was another community with a declining pottery industry where 2 out of 5 households do not have access to clean drinking water. Implementing our model there, we were able to jumpstart 7 water sanitation businesses. To date, our ‘waterpreneurs’ have sold 56 ceramic filters, which have filtered over 400,000 litres of contaminated water making clean drinking water available in homes of over 300 people. Moreover, we have increased the monthly income of our ‘waterpreneurs’ by 3x, economically incentivizing the traditional yet endangered pottery industry in various regions. Through hard work and resilience, Pura has gone from strength to strength. In the next few months, there will be over 1 million litres of water filtered through our initiative. The future for Pura is bright, and with the support of all of you, anything is possible.